Whether you’re throwing an art deco bash, a rustic wedding, or a preppy soiree, you need to choose a dress that complements your theme. On your wedding day, you want to look perfect. That means that every style decision, from your rhinestone-encrusted hair combs to your satin sandals, has to be well chosen. When making these important bridal style decisions, you have to consider the theme of your wedding. Whether you’re getting married besides the sea or are tying the knot in a cathedral, your dress needs to suit your surroundings. Here are a few tips for matching your dress to your theme. Great Gatsby-themed weddings are a popular choice for brides who love vintage glamour. Characterized by art deco style, these weddings evoke the decade of the 1920s in all of its glory, from the flapper outfits to the jazz music. When shopping for Gatsby-inspired wedding dresses in Columbus, look for soignee silhouettes that scream decadence. Try on a Gatsby inspired wedding dress adorned with beautiful beading, glitzy fringe, or metallic embellishments. Finish the look with a pair of vintage-style shoes, art deco hair accessories, and a long strand of pearls. Maybe shabby chic is more your style. 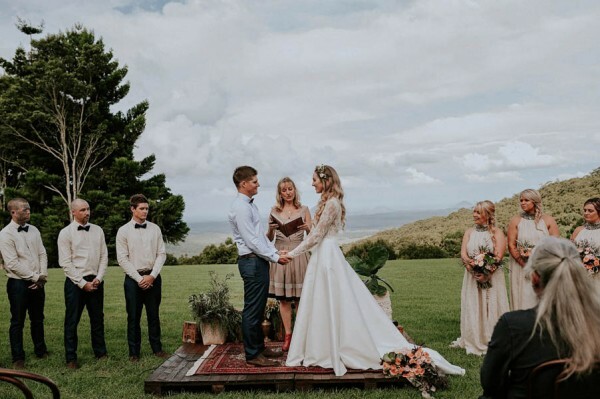 If you’re planning a ceremony in a renovated barn and are feeding your guests a farm-to-table menu, you need a Bohemian chic wedding dress to match your rustic aesthetic. A tiered princess dress would look out of place at a rustic wedding, but that doesn’t mean you can’t be a little glamorous on your big day. Try on bohemian-chic wedding dresses that combine elegant fabrics, like lace or tulle, with relatively simple silhouettes. A freshly-made flower crown completes the look. If you’re throwing your bash at the local country club, lean into the preppy aesthetic. Don’t be afraid to decorate your venue in bright patterns, pretty pink floral arrangements, and overtly formal embellishments. When choosing a preppy wedding dress, you could go for something streamlined or for something that indulges your princess fantasies. A-line dresses and tulle ball gowns both suit the preppy style. Bow details are a staple of this theme. Complete your look with a simple gold bangle, a pair of peep toe pumps, and the perfect pearl earrings.